Playing this week December 2 to December 8 at the Gateway Twin Cinema in Clinton is Instant Family and The Grinch. Instant Family (PG-13)– A couple find themselves in over their heads when they foster three children. The Grinch (PG)– The Grinch, is based on Dr. Seuss’ beloved holiday classic. 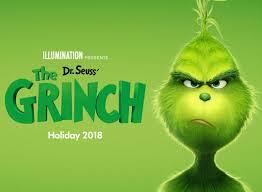 The Grinch tells the story of a cynical grump who goes on a mission to steal Christmas, only to have his heart changed by a young girl’s generous holiday spirit. Funny, heartwarming, and visually stunning, it’s a universal story about the spirit of Christmas and the indomitable power of optimism. `Wednesdays- Free popcorn and soda with every ticket purchased.